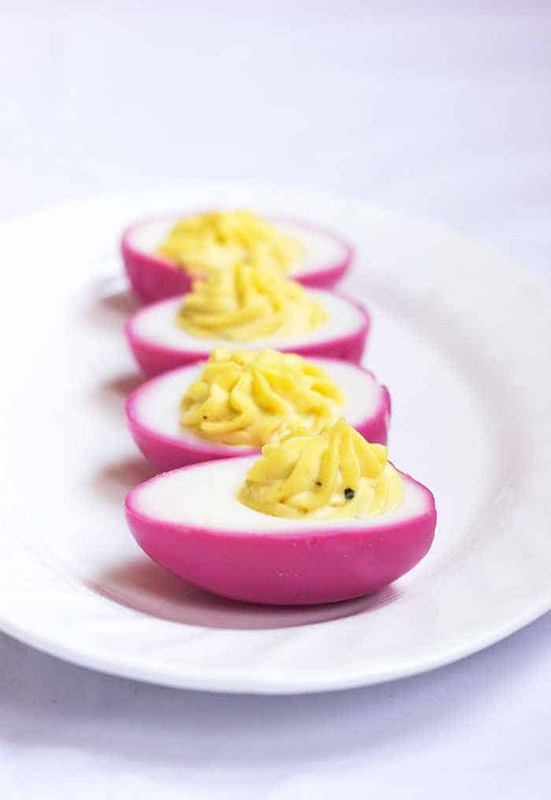 Learn how to dye or color eggs without using chemicals or food coloring, with the help of beetroot, turmeric, cabbage and other kitchen staples. 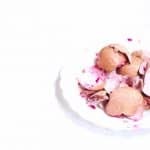 This egg dying trick is super awesome and you won’t feel guilty about eating them or feeding them to your kids. I’m writing this post from Mangalore. Jealous much? Its holiday time. Denver’s family is from Mangalore and we visit every few months. This time, we are here to celebrate Easter. Its about 11 in the night as I write this, and I know there’ll be the smell of freshly brewed coffee when we wake up tomorrow, with Grandma making Appams or Dosas in the kitchen and mom getting ready for work. We’ll sit in the verandah, sipping our coffee, mesmerized by the coconut trees swaying lightly, turning the pages of the newspaper, and planning the lunch menu. In my head, Easter = Eggs. The ignorant fool that I am, I still don’t know the connection. Okay, I just googled it before you thought I was such a dumb*** and it totally makes sense. Easter Eggs are such adorable little things. I’ve never actually had one, but have spent the last ten minutes two hours gawking at them on Pinterest. I decided that if I can’t have one, I’m going to try making one. Or not. I’m actually all about zero effort during festivals. All that food makes me sleepy and lazy so I thought of something waaaaaay cooler to do. I tried colouring eggs. And it was sooooo much fun. Believe me, it was like playing Holi all over again.See hanging out with me has its perks, doesn’t it? My kitchen looked like a war zone by the end of it so let me warn you not to get carried away like I did. Dying eggs is so easy to do that you wonder why you never tried it before! And don’t they look adorable? Are you nodding your head? You want to try it? Awesome! Let me tell you how. 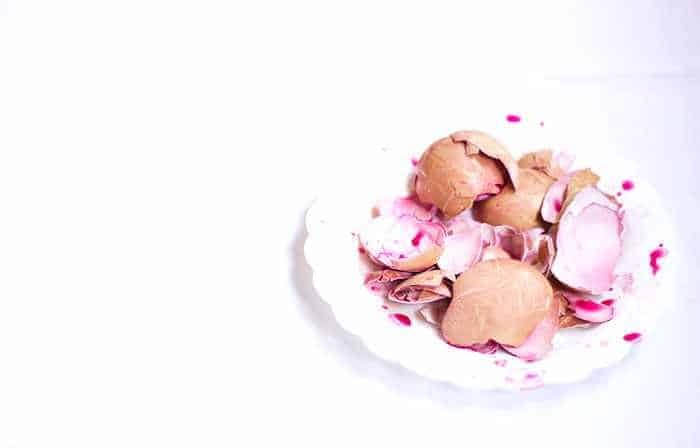 Learn how to dye or color eggs for consumption without using chemicals or food coloring, with the help of beetroot, turmeric, cabbage and other kitchen staples. Use your judgement while coloring the eggs. Timing vary slightly based on the ingredients used. 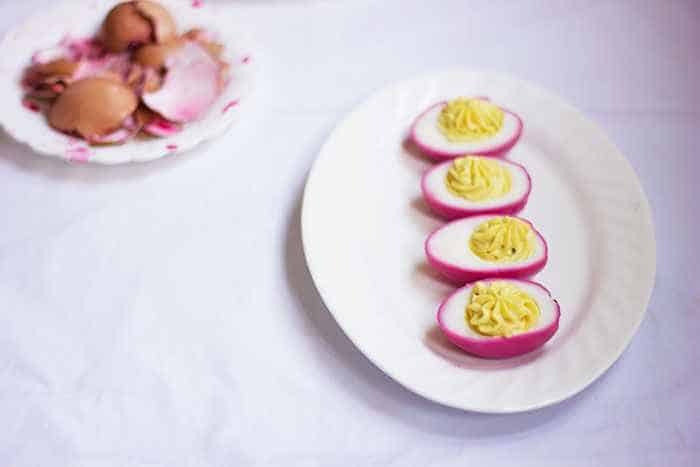 The taste of the eggs did not change when I tried, but other ingredients such as turmeric fun while coloring these by painting them with a brush or making splatters using a toothbrush. So be creative! Don’t just try this during Easter. This is a great way to wow your guests on other occasions as well!